Streaming giant Netflix confirmed on Thursday that it won’t be involved in any more episodes of the popular TV series ‘Lilyhammer’ starring Steven Van Zandt. The series was produced and launched in Norway but later became an international hit. A Netflix spokesman confirmed to newspaper VG that the third and last season of the series, which starred Van Zandt as a gangster who winds up in Lillehammer in Norway through the US’ witness protection program, was “a natural end” to the story about Van Zandt’s character, Frank Tagliano. “Lilyhammer RIP,” wrote Van Zandt on Twitter. “Not my decision.” He added that the series’ production got “too complicated,” but that he was “very proud” of its 24 episodes and that “new ideas” were on the way. The show was produced by Rubicon in Norway in cooperation with Norwegian Broadcasting (NRK), with Netflix as an investor and distributor. Its first season was an immediate success in Norway because of Van Zandt’s popularity but also because of the culture clash it portrayed between his character and Norwegian society, especially in the town of Lillehammer, which hosted the Winter Olympics in 1994. Scriptwriters Eilif Skodvin and Anne Bjørnstad struck a nerve over their portrayal of Norway’s egalitarian social welfare estate and provincialism in contrast to the rough New York underworld that bred Tagliano. Neither Rubicon nor NRK seemed willing to bury the series completely, though, with Rubicon’s chief executive telling VG that there was “no formal decision either from Rubicon or NRK to end Lilyhammer.” Asked whether Lilyhammer could continue even if Netflix ended its cooperation, Pål Kristiansen of Rubicon responded “Absolutely!,” noting that NRK, Rubicon and Steven Van Zandt hold the rights to the series. 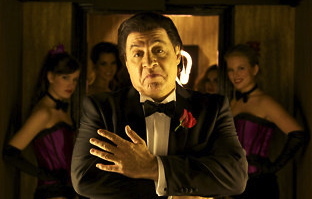 Van Zandt, though, has earlier expressed doubts about a fourth season of Lilyhammer. Petter Wallace of NRK claimed that Netflix merely represented “an investor who’s withdrawing.” NRK, Rubicon and the scriptwriters would “discuss the future of Lilyhammer thoroughly after the summer holidays,” Wallace told VG.